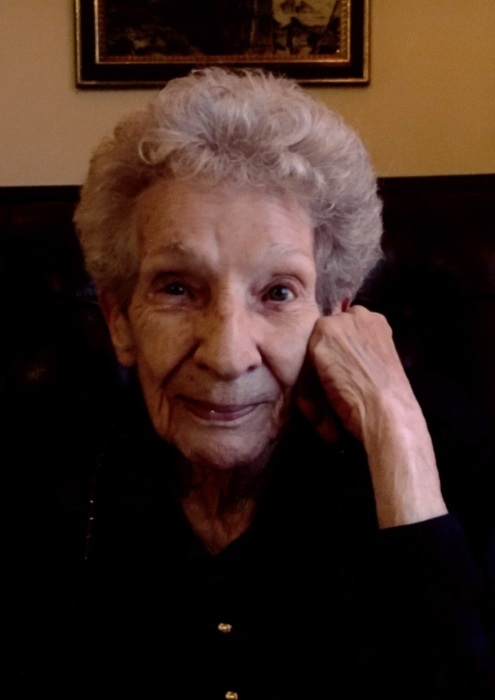 Delores M. Groff, 89, of Auburn, died Monday January 21, 2019 at DeKalb Health in Auburn. Delores was born March 25, 1929 in Fort Wayne, a daughter of the late Carl and Hazel Saylor. Delores was a member of Grace Christian Church in Kendallville, an avid bingo player and a fan of the Chicago Cubs. Delores was a realtor and had worked at Armstrong Realty, Century 21 and DeKalb Realty. She is survived by two sons and daughters-in-law, Steve and Beth Groff of Ashley, and Edward and Danita Groff of Auburn. ; a daughter and son-in-law, Diane and Larry Fee of Auburn; 11 grandchildren; 26 great grandchildren; 2 great great grandchildren. She was preceded in death by her husband, Edward H. Groff; a brother, Donald Saylor; and a sister, Lois Armstrong. A funeral service will be held Saturday January 26, 2019 at 10 am with visitation one hour prior at Pinnington Funeral & Cremation Services 502 N. Main Street, Auburn. Rev. Chris Mosley will be officiating. Visitation will also be held on Friday from 5-8 pm at the funeral home. Memorial donations may be made to Riley Children’s Health. Burial will be in Maple Grove Cemetery, Edgerton Ohio. With a life that spanned times of war and times of peace, times of plenty and times of want, Delores Groff touched the lives of so many around her in such a special way. She was kind, compassionate, and caring, and with her genuine spirit she cared for others with all her heart. Delores took her roles as a wife and mother to heart, but she just might have argued that nothing was better than becoming a grandmother, great-grandmother, and great-great-grandmother later in life. She was a woman of faith, and through the life she lived she exemplified what it means to be the hands and feet of the Lord she loved. Delores will never be forgotten. The year 1929 is often remembered as the year of the historic crash of the stock market that sent our nation and much of the world spiraling down into the depths of the Great Depression. With that, the prosperity of the 1920s gave way to economic hardship of the 1930s. Despite the trials around them, Carl and Hazel Saylor were able to shift their focus to an exciting time in their own lives as they were awaiting the arrival of their new baby as March dawned in Fort Wayne, Indiana, in 1929. Their wait was over on March 25th when the baby girl they named Delores drew her first breath. She was one of three as she was joined in her family by her brother, Donald, and her sister, Lois. In many ways Delores was a typical young girl of her generation. The Saylor family was no stranger to the stresses of the time as money was scarce. This left Delores and her siblings to get creative with their time. She and her older brother would often sit around the radio to listen to the Cubs play when she was very young. Delores also loved to read and ice skate. Not to be forgotten during her years as a young woman was Delores’ introduction to the man of her dreams. His name was Edward Henry Groff, and they met at a restaurant owned by her parents in Waterloo, Indiana. They began dating, and it didn’t take them long to fall deeply in love. With a desire to spend the rest of their lives together Delores and Ed were married in 1949. Together they welcomed three children including Steve, Edward, and Diane into their hearts and home. They raised their children in a loving home, and Delores was an active part of her children’s lives. Delores and Ed were so welcoming, and they extended their love to all who entered their lives. Later in life she was thrilled to become a grandmother, and she loved watching all of her grandchildren in their sports and activities. As someone who enjoyed embroidery, Delores took great pride in embroidering baby blankets for each great-grandchild and great-great-grandchild. Christmas was always her favorite time of the year to spend with her family. In addition to caring for her family, Delores kept busy in other ways, too. She worked in a variety of different jobs over the years including babysitting for several families. Most recently, Delores was working as a realtor for Armstrong Realty, Century 21, and DeKalb Realty. She loved vacationing at Cedar Point and also in Florida. As an avid Chicago Cubs fan, one of the greatest days of her life was when they won the World Series in 2016. Delores was a member of Grace Christian Church in Kendallville. To keep her mind sharp, she enjoyed crossword puzzles, cards, Skip-Bo, Bingo, and watching Wheel of Fortune and Jeopardy. All who knew Delores Groff would agree that she was truly beautiful on the inside and out. She was strong minded and strong willed with a determination that never let her give up. Loving and compassionate to all people, she blessed so many throughout her life’s journey. Dearly loved, Delores will be forever missed.